So far it’s decent but one major concern is the fact you can’t add your membership card to your virtual Apple wallet. Fix for the Apple Watch series 4 QR code not displaying correctly! Thanks guys! ❤️ you! Please fix the ‘Membership Card’ for Apple Watch 4. It is not centered and you cannot scroll. I think even part of the QR code or w/e is is cut off at the top. The app seems to work fine. My check is don’t always get logged, but that’s probably not the app’s problem. I would love it if I could have my membership card in my Apple Wallet. I use this membership card more than anything else in my Apple Wallet so having it available there would be a great feature. App working now for Apple Watch series 4 check in use. However Apple Watch does not update club hours accurately. Have to use the phone version of the app to get accurate club hours. Reduced hours on the weekends often do not appear from Watch version. This is the ugliest app I have ever seen. It should be a corporate embarrassment. It's slow and won't remember my location or settings. It will tell me a class is cancelled but won't tell me the gym is closed unexpectedly. The barcode to check in does not display properly on the latest Apple Watch. It cuts off the top and bottom. Sadly, to use this check-in system you make your key tag invalid for check-in. So the only option now is to bring in your iPhone to scan. Hoping for an update to make the watch app usable again! 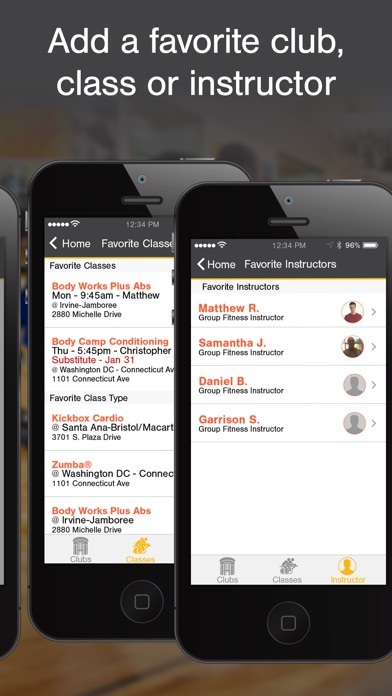 I’ve frequently been unable to access my private training schedule due to the app being frozen upon launch. Even closing the app and launching again doesn’t fix it, sometimes it requires a full restart of the iPhone. You had one job and you blew it. For some reason the app. Doesn’t have the option to add a member or freeze the membership that is supposed you have access according the their webpage.Also is hard to post a comment because all nicknames are taken. Membership card should be enabled for Apple Wallet and on Apple Watch. This app was just changed and I can’t get it to do what I want. When you go to “find a gym” it takes me every time to a list of gyms that aren’t even near me, it doesn’t remember the zip I put in like it use too. I could just go to find a gym and it would have my list there. It’s now making me do more steps every time I open it, very frustrating!!! I travel and use the map to find all my options in a city. I do not know which will work so we need the map button on Location back. La Fitness Parsippany NJ is the Most unhygienic, dirtiest gym that I ever experienced. Where as on the other hand La Fitness Randolph NJ is the Best, clean and hygienic. Also I’m loving the app. I just use the app to check on where when and where the classes are, and Who is teaching the class this week. It works fine for me. This app, whose main purpose is to access your membership barcode should support Apple Wallet to save the pass. 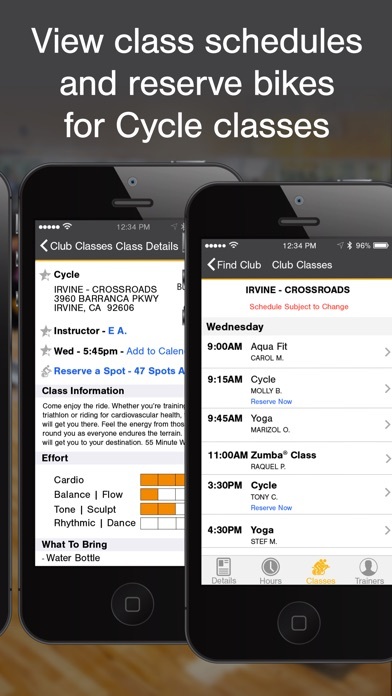 It would then be able to suggest the pass when you arrive at the gym without having to even unlock your phone. 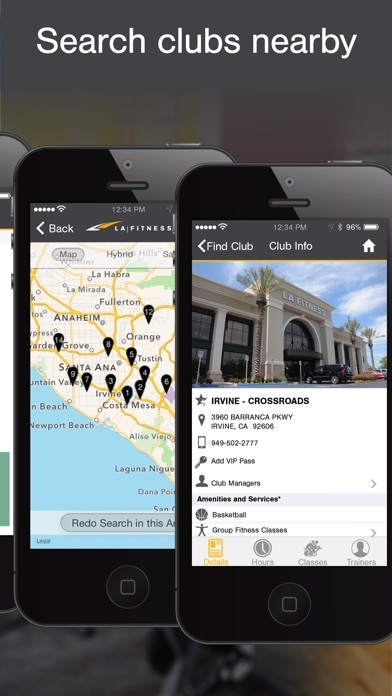 Instead you have to unlock your phone, find the LA Fitness app, open it and wait for it to load (hopefully internet is working), then tap on the Membership Card icon and wait for it to load. They listened and fixed issues. The app works well. Just wish there was a way to make a club my home club instead of making it a favorite. That way I could just open up to my home club page and see the classes, etc. Can't even set it up! I just wanted the app so I didn't have to use the card on my key ring. Simple enough. However, setting up the app with my account info is impossible. I followed the instructions to create a password and it says it's incorrect. It's not. I did it EXACTLY as it asked. Isn't it the idea of an app to be user friendly. If it won't even let me set it up it's definitely not user friendly. In fact, it's not user possible. All my checking have disappeared and calendar is all blank. This happened after last update. App is completely non responsive on iOS 12.0.1. One of the most basic (and common) uses for this app is to pull up your barcode for scanning when you go to the gym. The developers could easily implement a 3D Touch menu item to make this quick and accessible. Not very intuitive. No way to set default club. No way to set membership card as default splash screen. Class descriptions need improvement and demonstration videos. This app is functional, though not pretty, and loses some of its functionality across platforms. On Android you can automatically copy reservations to your personal calendar—for some reason this option isn’t available on apple. Also, a lot of people have asked for apple wallet support and that would be an amazing upgrade! I recently wrote a review to complain about not being able to favorite a gym and easily find the class schedule but I just ate my words and realized I can! Still the interface is clunky but I’m glad there’s an app to use for the gym. Currently defect on forgot password flow, validation for creating new password is broken. Giving error when both password forms are valid. Using iPhone XS iOS 12. Many of my membership apps use location services and the iPhone Wallet. When I’m near the location I can just tap the notification from my lock screen and my membership barcode pops up ready to scan. This saves the time of looking for the app, opening the app, finding the membership tab to access the barcode. Seems like a really simple fix that could make this app so much better. I would for sure update the star rating with this addition! Uh, 2007 called and they want their app back. Designed by a 4th grader, this app offers fairly decent functionality with about 6 seconds dedicated to how it looks and how it’s laid out. Not sure why LAF can’t seem to figure this out. Massive fail for such an easy win for a popular gym. Poorly desgined, lacks functionality, can't add your pass to Apple wallet. App works just need to recenter the QR code on Apple Watch series 4. The code is very difficult to get read by the scanner from watch. I can’t log in as a member it’s telling me my account is wrong. Can’t access the map features to see where there are locations on my route, it’s not helpful for me personally at all. The app works fine, but have noticed that the hours of operation is wrong under Contact Us. The membership card on the Apple Watch Series 4 does not work as it is not properly sized to the resolution of the display. One of the worst apps still on the App Store. The UI is slow, unintuitive, and just archaic. LA Fitness markets itself as being sleek and modern, so I can’t understand the choice to maintain a derelict app like this. Other issues that could be solved easily: (1) I have one gym that I attend regularly. I should be able to set that as my “home” gym and have one/two-click access to class schedules, trainers, and hours. 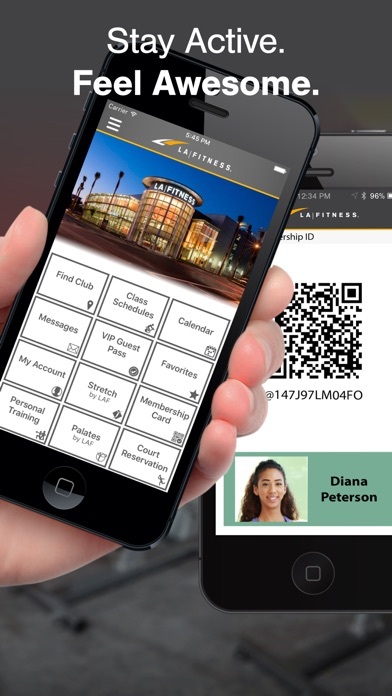 (2) LA Fitness keeps pushing the app QR code for check-in. Being that it’s the first thing you do when you enter the gym, it should be on the home page. Also, why can’t I add it to my wallet like every other single QR/barcode? I have plane tickets, reservations, and Starbucks on there, but not my gym. 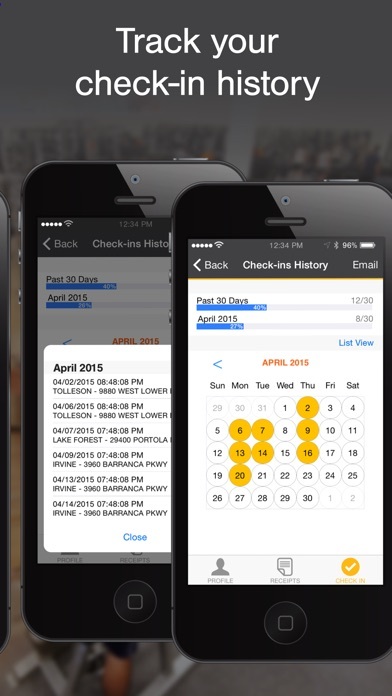 The wallet automatically adjusts for brightness, which would make checking in even quicker. (3) The app feels like a maze and there’s no “search” tool to try to narrow it down. The QR code isn’t fully displaying on the watch. I have the 40mm Watch 4. This should be an easy correction for the Developers. Watch app broken on series 4 apple watches. I can no longer use my watch to check in as the QR code is displaying bigger than my screen with the top cut off on my series 4 Apple Watch. Not working on iOs 12.0.1 - even when download update tonight.